Please investigate which option will work best for you. We continue to explore options that work for our patients. We have recently taken some off of our site, as some companies have not treated people favorably. We view these companies as entities that assist our patients' opportunity to have a procedure. These are independent financing programs, and once you are approved, the finance company you choose pays our office. Your payments and financial obligation are directly with the finance company you select. When choosing one of these companies as an option, we advise using only one per surgery and not a combination of these companies to finance your procedure. We will be happy to provide you with further information if we can. We continue to explore additional financing partners that benefit patients. If you are aware of and/or approved by one that is not listed here, let us know and we will add that company to our list, if possible. *We also accept checks, cash, American Express, Discover, Master Card, and Visa. 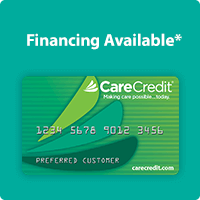 *We accept all care credit plans. Offers extended payment plans in 24, 36, 48 and 60 month options to help keep monthly payments low. Offers deferred interest plans in 6, 12, 18 and 24 month options. Can be used with other healthcare providers, including dentists, Lasik/eye specialists, hearing clinics and veterinarians. 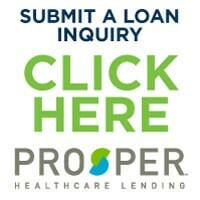 Has a lengthy established history of patient financing. 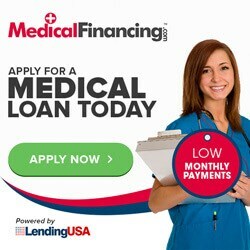 Parasail is a unique lender in the field of medical loans. 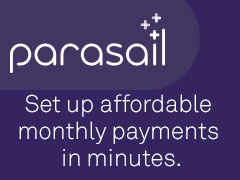 Unlike credits cards, Parasail has fixed interest rate loans based on your financial information, no fees and affordable payments that can be spread out monthly to fit your budget. Single application for multiple loan options. Accessible loans regardless of financial situation.